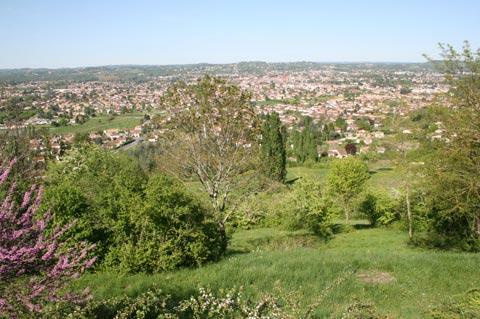 The village of Pujols is on top of a hill a short distance south of Villeneuve-sur-Lot in the Lot-et-Garonne department. 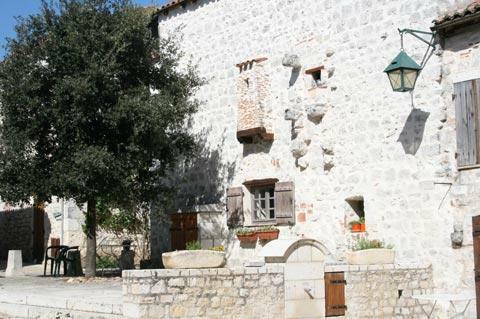 It is listed as one of the 'most beautiful villages of France'. One way to approach Pujols is by walking from Villeneuve-sur-Lot: it is about two kilometres and provides a nice view of the village as you approach it. 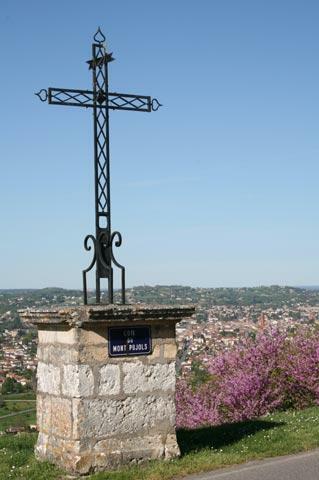 Start from the 'Porte de Pujols' in Villeneuve if you are walking. However, the first part of the walk is not very lovely and the village is on top of a hill so you won't be surprised that most people drive here! If you come by car there is plenty of parking space just outside the old village. 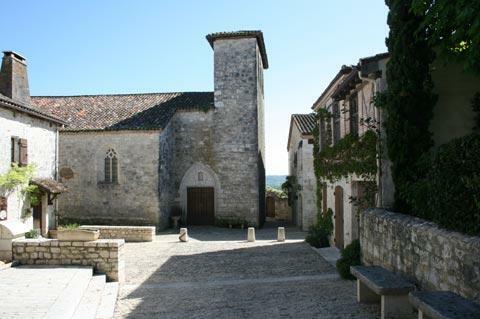 Although Pujols is a small village, little more than one street, a parallel alley, and two churches, it is extremely picturesque. 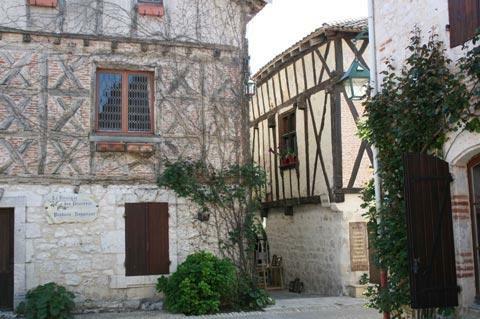 The medieval houses crowd in on the street, and numerous pretty gardens add to the charm. 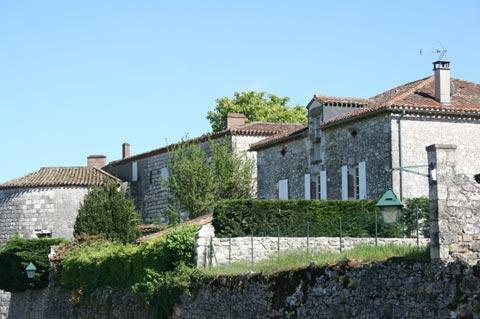 It is a walled village, and because it is on a ridge it has fine views in both directions: north over Villeneuve-sur-Lot and the Lot River and south across open countryside. 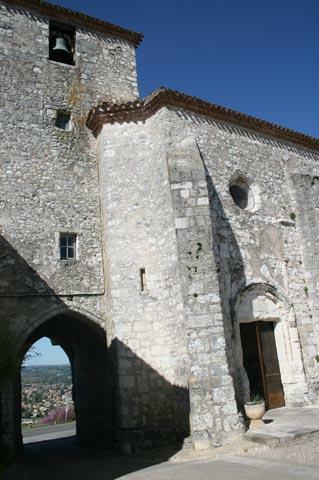 Pujols is usually entered by the impressive archway at the north of the town. 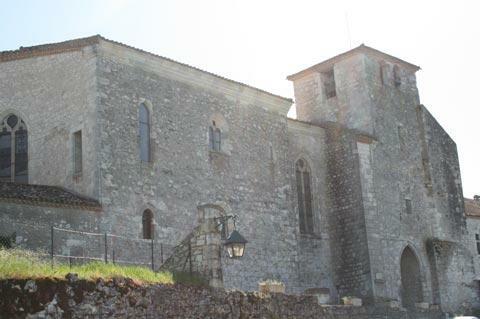 This is the Saint Nicholas belltower, and is part of the church that is built into the original defences of the village. 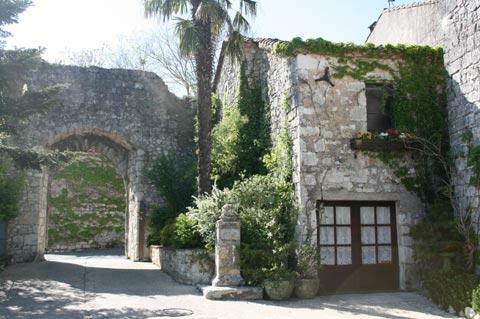 This stone arch brings you straight into the main square in Pujols, with the church to one side, a 19th century market hall, a bar and the tourist office, and a couple of small galleries. 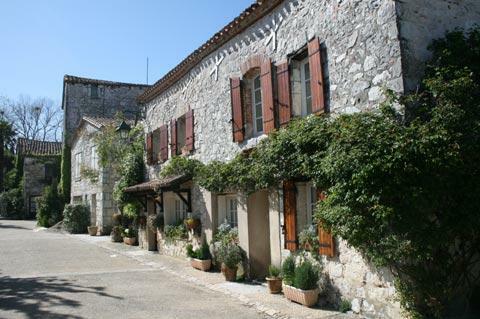 From here you can follow the main street in either direction to enjoy looking at the ancient houses, often with hanging baskets of flowers, the small gardens and the views. The frescoes in the church of Sainte Foy (the church that is to the south of the village, not the church by the main entrance) date from the 15th century and are also well worth a look. The possible downside to a visit to Pujols is a result of its small size. In the summer you might find rather a lot of tourists for such a small space so it is best to visit slightly off-season or in the morning if possible. 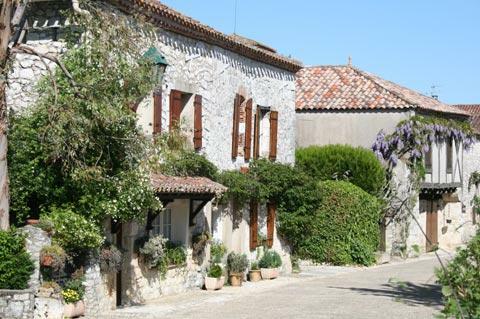 Still, it never gets crowded to the same extent that certain popular villages in the Dordogne or Provence do, for example, so don't be put off visiting in the afternoon if that is the only time you can make it! There are a couple of excellent restaurants in Pujols, albeit a little more expensive than some in the region. Six kilometres south of Pujols you can visit the Grottes de Fontirou, a large cave system that was inhabited in prehistoric times. 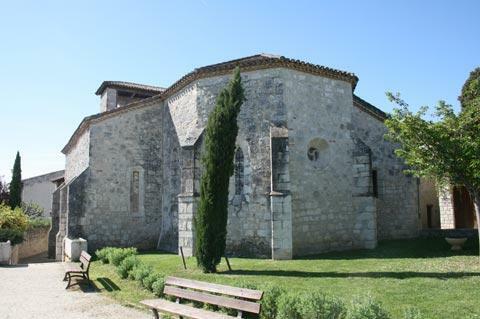 You can find more local travel ideas in the Lot-et-Garonne guide and the Aquitaine guide.